The knowledge from these books will show you how to select, define, launch, refine, and make money from your idea. We all know that lightbulb moment. A sudden clarity where all makes perfect sense. An idea has been born and now it seems so obvious. But how does the idea come to life? The printing press, the pencil, the flush toilet, the battery — these are all great ideas. But where do they come from? What sparks the flash of brilliance? What kind of environment breeds them? How do we generate the breakthrough technologies that push forward our lives, our society, our culture? 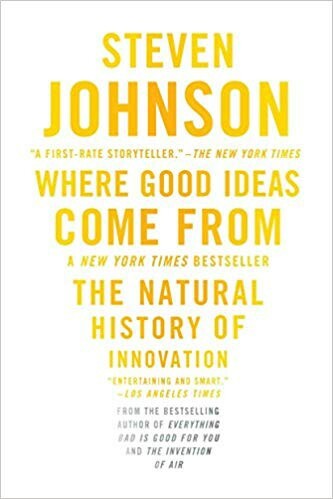 Steven Johnson’s answers are revelatory as he identifies the seven key patterns behind genuine innovation, and traces them across time and disciplines. This is one of my favorites. 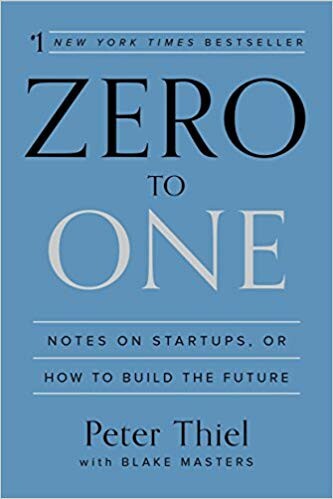 In Zero to One, entrepreneur and investor Peter Thiel shows how we can find singular ways to create those new things. Very interesting read, lots of real-life examples. David Ogilvy was considered the “father of advertising” and a creative genius by many of the biggest global brands. First published in 1963, this seminal book revolutionized the world of advertising and became a bible for the 1960s ad generation. It also became an international bestseller, translated into 14 languages. 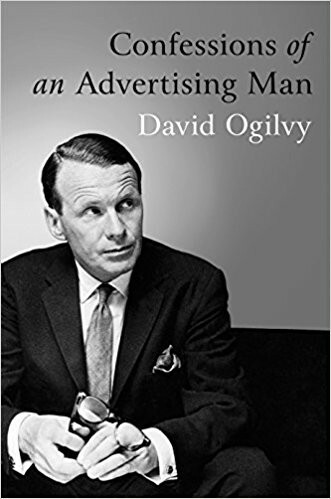 Fizzing with Ogilvy’s pioneering ideas and inspirational philosophy, it covers not only advertising, but also people management, corporate ethics, and office politics, and forms an essential blueprint for good practice in business. When writing post headlines or advertisements, I always go back to this book. 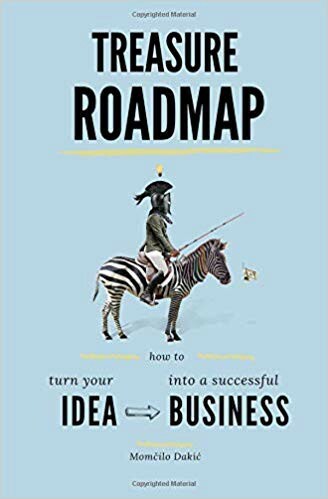 This detailed roadmap will show you how to select, define, launch, refine, and make money from your idea. You will read the book all in one breath and use it over and over again to seek advice regardless of the stage of your business development. This book will lead you to financial and personal excellence. The book offers a set of tools emerging from lean start-up, design thinking, and agile software development that are revolutionizing how new ideas are created, refined and brought to market. Whether you’re launching a start-up, leading an established one, or simply working to get a new product off the ground, you just need to ask the right questions and streamline your efforts. Use this book to learn how to ask questions that lead you to find answers in unexpected places. Highly recommended. Why do some products capture widespread attention while others flop? What makes us engage with certain products out of sheer habit? Is there a pattern underlying how technologies hook us? 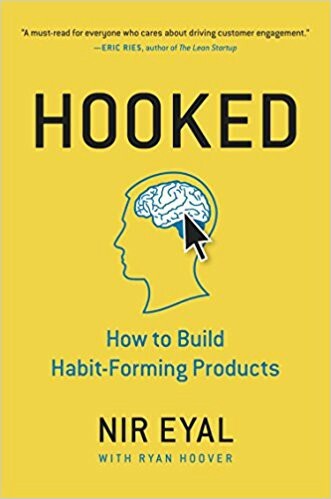 Nir Eyal answers these questions (and many more) by explaining the Hook Model — a four-step process embedded into the products of many successful companies to subtly encourage customer behavior. Through consecutive “hook cycles,” these products reach their ultimate goal of bringing users back again and again without depending on costly advertising or aggressive messaging. Hooked is based on Eyal’s years of research, consulting, and practical experience. 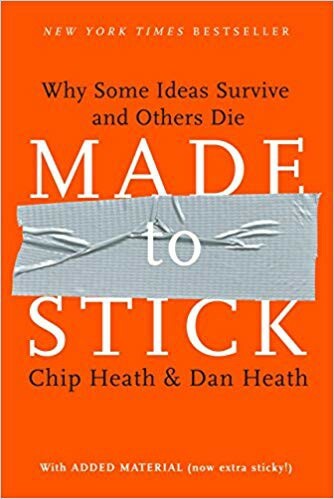 In Made to Stick, Chip and Dan Heath reveal the anatomy of ideas that stick and explain ways to make ideas stickier, such as applying the human scale principle, using the Velcro Theory of Memory, and creating curiosity gaps. Along the way, we discover that sticky messages of all kinds — from the infamous “kidney theft ring” hoax to a coach’s lessons on sportsmanship to a vision for a new product at Sony — draw their power from the same six traits. Made to Stick will transform the way you communicate. It’s a fast-paced tour of success stories (and failures): the Nobel Prize-winning scientist who drank a glass of bacteria to prove a point about stomach ulcers; the charities who make use of the Mother Teresa Effect; the elementary-school teacher whose simulation actually prevented racial prejudice. Provocative, eye-opening, and often surprisingly funny, Made to Stick shows us the vital principles of winning ideas — and tells us how we can apply these rules to making our own messages stick. 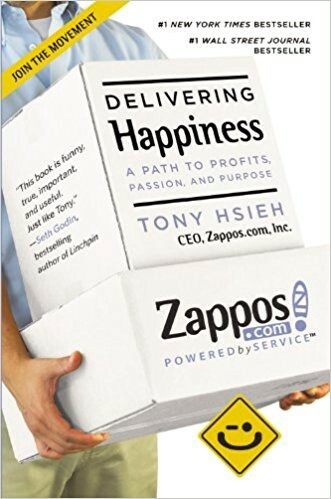 7 Must-Read Books for Product Managers was originally published in Hacker Noon on Medium, where people are continuing the conversation by highlighting and responding to this story.